Whether you need a design for a concession cup, t-shirt, custom packaging, or other promotional items such as fan giveaways.....we've designed it and would love to show you what we can do! The entire process is steamlined for quick turnaround and efficient cost. "Bobblehead" box design for series of Maryland Women's Basketball bobbleheads used as promo giveaways during the 2015-16 season. Same giveaways were produced for 2016-17 season. Maryland Women's Basketball National Championship T-shirt Giveaway — Design features names of all players and coaches on the national championship team which form the national championship trophy. T-shirt giveaway for the City of Surprise, Arizona — Spring Training home of the Texas Rangers and Kansas City Royals). 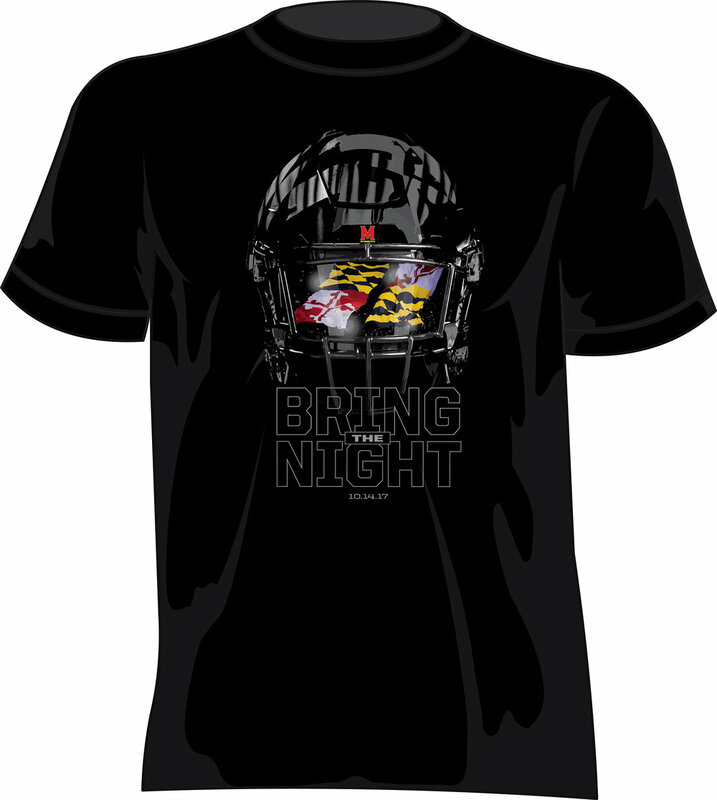 University of Maryland Football — BLACKOUT Game Giveaway. University of Maryland Men’s Basketball — REDOUT Game Giveaway.